The smallest, yet most devastating, wood-destroying insects are termites. These insects have the potential to nest in and around homes. Their day-to-day activities have the capacity to – literally – destroy entire structures. Worst of all, termites have the power of doing all of this and more with very few signs that they are even present. Entomologists, product companies, and pest control companies are consistently striving to counteract the destructive nature of termites by studying the basic biology of the insects, the behavior of the insects, and creating products that will not only eliminate infestations, but, will also protect structures from their destruction. If you are a homeowner, there are many scary facts and statistics that you should be aware of, as it pertains to termites. Continue reading to learn how to save thousands of dollars in damage and for tactics that will aid in protecting your home. According to field research, termites damage a minimum of 600,000 residential structures in the United States each year. The residents of the United States spend, approximately, $5 billion each year in order to try to control termites and to repair the damage that termites cause. It has been estimated that residents of the United States spend anywhere between $1 billion – $2 billion on controlling Formosan termites, annually. When it comes to man-made structures such as buildings and even crops, termites have been estimated to cause approximately $30 billion in damages. If you discover that termites have damaged your home, you will likely have to spend – at LEAST – $3,000 in order to repair the damage. Termites are consistently active. These pests NEVER sleep! The insects work in a furious fashion every single hour of the day, every single day of the week. The queen termite of a colony has the ability to live for nearly three decades! 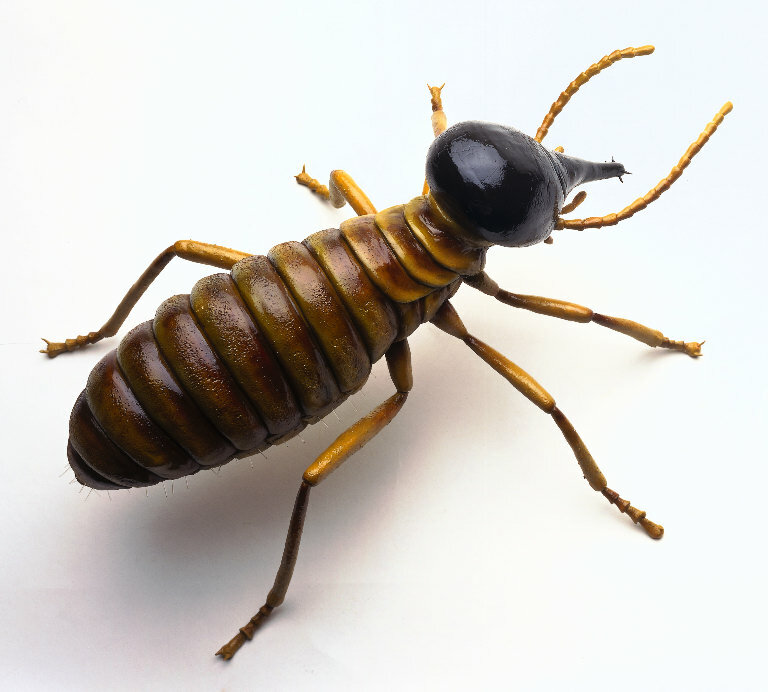 Additionally, this particular termite has the ability to produce approximately 10,000 new termites each year. This estimates out to be at least four termites each minute! Termites have the ability to consume up to 3% of their total body weight – each and every single day! It is common to find that homeowner’s insurance does not cover the damage produced by termites; however, according to numerous studies, these insects do more damage than natural disasters such as fires and various types of storms. If you were to weigh all of the termites that are currently on the planet, the figure would be more than if you weighed every human on the planet. Now that you know a few of the scary statistics and frightening facts surrounding termites, it is time to take action. You do NOT want to become the next victim of the devastation caused by these insects. Termites are unique creatures. When disturbed, the entire colony will spread. This is why it is important to enlist the assistance of a professional pest control company in tackling a termite infestation, or, even preventing an infestation. All Pest Exterminating, Inc. is certified in termite prevent, control, and elimination.